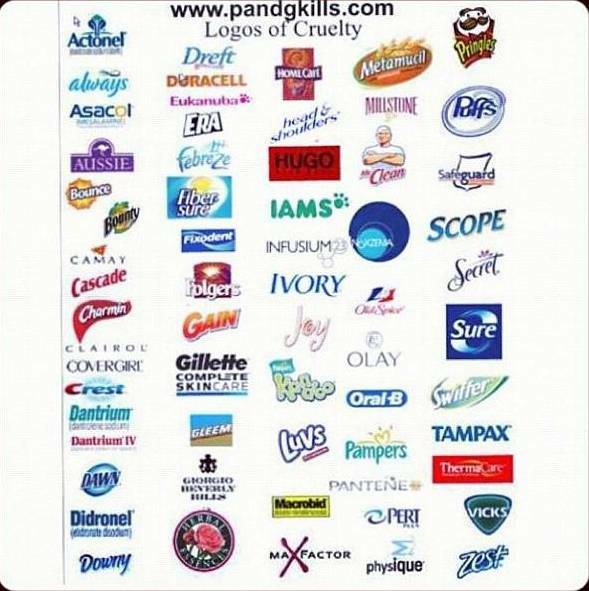 While I understand that it may be difficult to avoid all products, any effort you make to cut back on purchasing from these companies will save the lives of many animals including cats, dogs, guinea pigs, mice, monkeys, pigs, rabbits, rats, sheep and other innocent animals from pain, cruelty and death. Please don't use me for research & then kill me, I deserve better! 33 animals die in laboratories per every second that passes - world wide. Yet there are around 450 alternative methods to test product without using animals - and many successful companies round the world use these alternative methods. Companies that do test on animals commonly use the DraizeTest (all animals that receive this painful test are killed after the test is administered and when the test is administered the animals are not given any type of painkiller) and the LD-20Test (Lethal Dose 50 Test). Many companies also use vivisection - the practice of cutting into or using invasive techniques on living animals. Research has shown that testing on animals is a highly ineffective way to identify products and drugs that are harmful to humans. In fact most of the tests done on animals are actually discarded! So, if you are still under the impression that testing on animals is an unfortunate necessity to protect humans from harm you now know otherwise! Most researchers and doctors admit that due to the anatomic and physiological differences between humans and non-human animals the tests are irrelevant! For answers too many frequently asked questions (FAQ) about animal experimentation and why it is not effective or necessary you can click here. As Aga Khan (Prince Sadruddin) said in 1933, "The philosophy behind vivisection, the sacrifice of creatures we regard as 'inferior' beings, differs little from that behind the concentration camp or the slave trader." Take a look at the logo’s below - you will recognize many of them - including pet food manufacturers! You can then scroll below for a more comprehensive listing which includes many companies that are common household names. Below that listing you can click to see an even more extensive international listing. If you would like to search for a specific company to see if they test on animals - but do not see them listed below you can click here to do a custom search by company name. 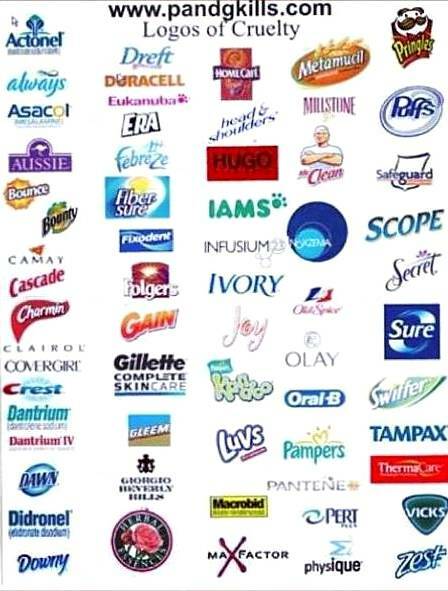 Conversely if you would like to see an extensive list of companies world-wide who do not test on animals you can click here.